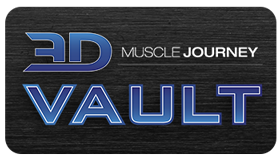 This week’s episode marks the fifth and final installment of the 3D Muscle Journey Podcast “Origins” series. In this week’s episode, roles are reversed as Eric Helms digs into the past, present and future of the newest edition to the 3DMJ team, Coach Andrea Valdez. Andrea began her athletic career at the young age of 6 as a competitive gymnast. Through middle school, she continued to participate in this highly demanding sport while also picking up cheer, basketball and track. While trying to balance this nearly impossible workload, she began to develop a collection of nagging injuries, which eventually led her to solely pursue cheer, where she excelled tremendously, and competed in until graduate school. Andrea’s educational journey, why she has distanced herself from social media in comparison to her early days, Andrea’s “secret” confession, how being brought on as the fifth 3D Muscle Journey coach has changed her life, and MANY other topics are discussed in this weeks episode. The two finish by discussing Andrea’s current athletic endeavor, Grid. What is it? How she discovered it? What attracts her to it? And when will she compete in it?